Have you ever wondered about the oils you use to prepare meals? It really does seem to be an afterthought for a lot of people. The only time much scrutiny goes into the type of cooking oil you purchase is when a recipe calls for a different variety. But what about the health concerns regarding these oils? Are some people really cutting oil completely out of their diets? Why? What about the existing diets that proudly feature some of these oils? I dug up all the information I could on exactly what these oils are doing in our bodies and what might happen if we were to cut them out entirely. 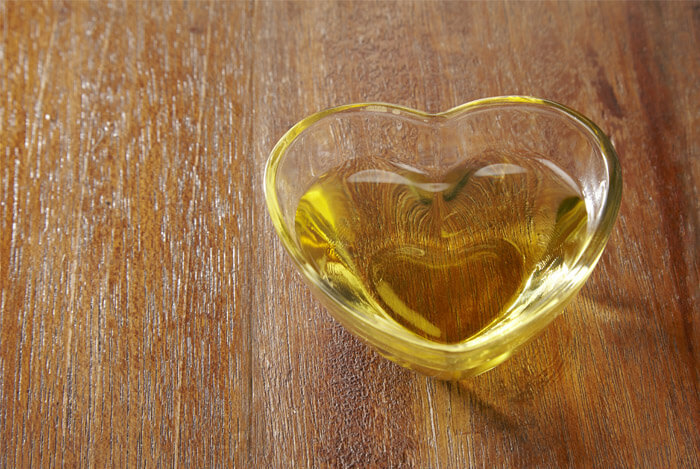 Oils are types of fats that are in liquid form at room temperature. To put it more technically, these oils are mixtures of fatty acids that have been esterified to glycerol. Oils are made of either animal or plant fat and are used in food preparation. While they aren’t their own food group, they do include certain nutrients the body uses. Each oil – and believe me, there are lots of them – is created in a lot of different ways. Some of them have various subtypes, like olive oil coming in virgin and extra virgin – based on the different ways they are pressed to extract the oil from the olives. The big issue here is the fat content of oils. Because fats are so prevalent across different foods, and can be made synthetically, there are all kinds of ongoing discussions about each and every one of them. What people are most concerned about when it comes to fats is cholesterol. There has been a long held belief that dietary fat raises the concentration of cholesterol in the blood. And because higher cholesterol counts are linked to cardiovascular issues and stroke, it’s always been recommended we avoid fat. This is not entirely true. New evidence shows that dietary fat really isn’t the culprit. But like anything, when it comes to fats, what counts is quality and quantity. The body needs many different types fats for different functions in the body, and because you can only get some of them through consuming foods that contain those fats, you can’t simply exclude all fats from your diet. Unsaturated fats are generally considered better for you. Monounsaturated: found in olive, sesame, canola, avocado oils, as well as in nuts and their oils. Polyunsaturated: found in corn, safflower, sunflower, flaxseed, soybean, and cottonseed oils. Saturated fats are often called “bad fats,” although that’s not technically accurate. Trans fats are the really harmful fats. They aren’t essential for your health, and they do nothing to promote better health. Consuming trans fats increases your risk of heart disease and they raise “bad” low-density lipoprotein (LDL) cholesterol and lower your “good” high-density lipoprotein (HDL) cholesterol. Trans fats are found much more in partially hydrogenated oils than they are in the more naturally occurring oils. 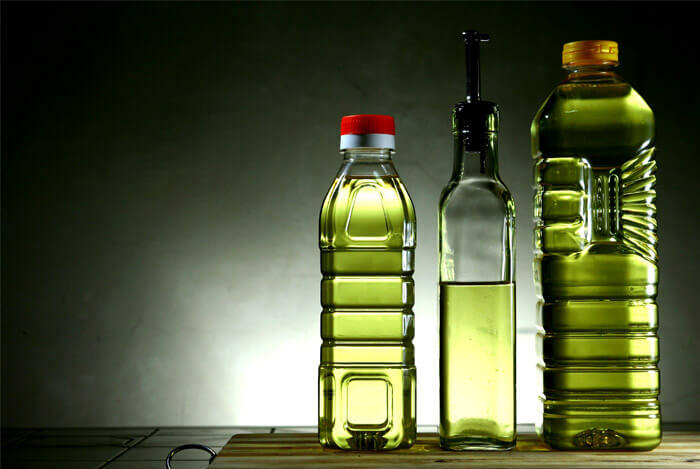 Most cooking oils tend to contain all types fats. For example, although olive oil is a monounsaturated fat, it does contain saturated and polyunsaturated fat too, just in lesser amounts. But, instead of weighing which oils are better for you, people advocating for the elimination of oil altogether are pretty passionate about the subject. What do they have to say? The discussions of the effects oils have on the body are, to be honest, somewhat confusing. The starting point usually seems to be that they aren’t “natural”. The human body did not evolve eating these oils, that’s for sure. A lot of the fats were present in our diets, but not the super-processed versions found in oils. We started producing these oils about a hundred years ago. Though simply because something isn’t deemed “natural” does not necessarily make it a bad thing. Cures for illnesses and modern medications aren’t “natural”, but we sure use a lot of them. It really all comes down to the actual evidence of how these oils treat the body. 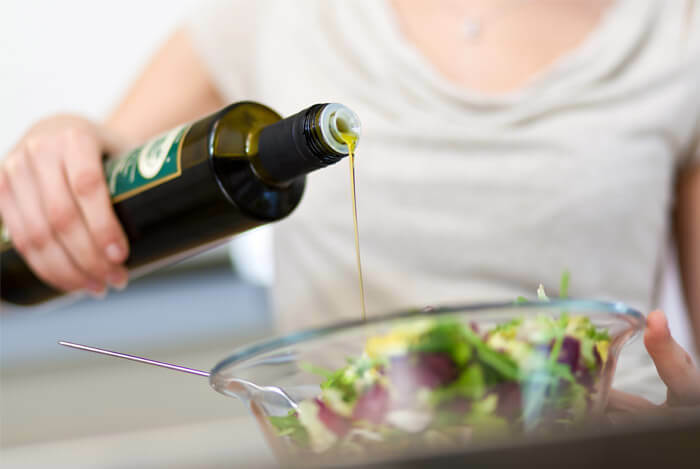 Omega-6 fatty acids have been linked to cancers and cardiovascular disease, but those researchers also concluded: “Consumption of saturated, monounsaturated or polyunsaturated fat overall was unrelated to risk”. Higher omega-6 is bad, but eating fats that contain some isn’t horrible for you. So, what about the government institutes that issue guidelines for public health? The US National Heart, Lung and Blood Institute has recommended that saturated fats be largely replaced by polyunsaturated and monounsaturated fats. 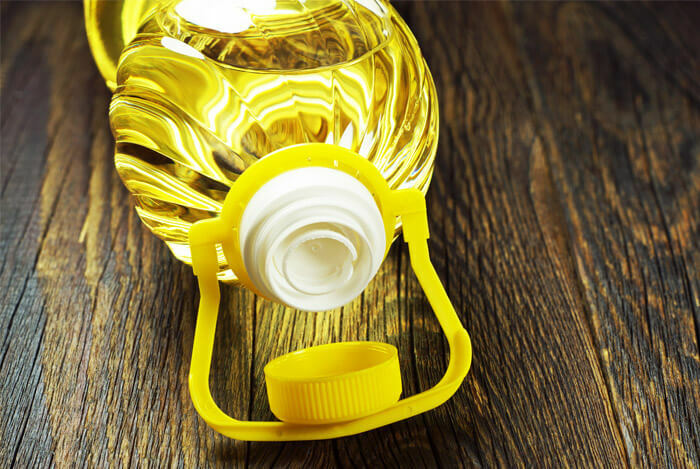 They listed sunflower and soybean oils as good sources of polyunsaturated fats, and olive oil as the healthier option for monounsaturated fats. But if the science keeps going the way it has been, I half expect them to change their tune within a year or two of new research and data. Luckily, when it comes to trans fats, the FDA ordered in June of 2015 that food manufacturers stop using it completely within 3 years. So those partially hydrogenated oils will be phased out. Okay. So, the evidence isn’t really conclusive. The most recent studies indicate we shouldn’t be as worried, but who knows how much the science will eventually change? You want omega-3 fatty acids, monounsaturated, and polyunsaturated fats. Grapeseed oil is high in polyunsaturated fats as well as vitamin E, and because of its high smoke point, it’s better than olive or vegetable oil when you’re stir frying or sautéing a meal. Avocado oil is great when used to add flavor to fish or when mixed into a vinaigrette. It’s more expensive than other oils though, so keep it fresh if you want to benefit from its monounsaturated fats. 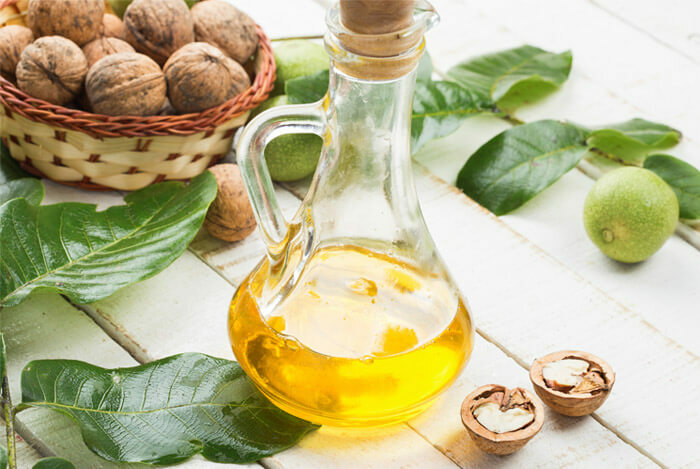 Walnut oil has a much lower smoke point than other oils, but works really well in salad dressings or for other foods as flavoring. It contains polyunsaturated fats and vitamin K.
Keep in mind, however, that the benefits outside of the monounsaturated and polyunsaturated fats are very low. The counts of vitamins and nutrients in these oils are very low, and the benefits are usually linked more closely to the foods they’re derived from. At the beginning, we began with the question: What would happen to your body if you eliminated oils? The only sure, proven-by-research answer is that you would be taking in fewer calories, which is a good thing. But simply limiting your intake of these oils to fewer times a day/week could be just as effective in the long run. This really isn’t as cut and dry as it should be. Maybe in a decade or two, once more serious scientific research has been performed on the consumption of these oils, we’ll know exactly what they do to the body. It’s also incredibly hard to continue eating regularly while excluding cooking oils from your diet unless you’re already a vegan or vegetarian. And even then, you’ll be changing the ways you cook and prepare your foods without there being a moral component to that decision. A lot of these more nuanced conversations about foods come down to the actual level of consumption. At this point, I’m not sure how many times I’ve said it, but I’ll say it again: everything in moderation. What’s your take on these oils? Will you continue using them? Let me know in the comments below.